Potentials Realized is an award-winning Canadian Performance Improvement company, focusing on coaching, leadership and team performance issues. We provide specialized services in the areas of team and group development, virtual teams, global teams and also coaching skills training. Founded in 2004 by Jennifer Britton, MES, CHRP, CPT, PCC , the author of Effective Group Coaching (Wiley, 2010) and From One to Many: Best Practices for Team and Group Coaching (Jossey-Bass, 2013), and Effective Virtual Conversations (2017). Jennifer is a global thought leader in the area of Group Coaching and Team Development. In 2016 she also received a PRISM Award for Excellence in Coaching by the International Coach Federation -Toronto Chapter, for her support to The Scarborough Hospital in developing a coaching culture and Coaching and Mentoring Skills training. Dedicated to supporting organizations and business owners in the areas of teamwork, leadership, performance issues, we serve clients across North America, Europe and the Caribbean, virtually and in person. We have delivered thousands of hours of virtual learning and training events since we opened our doors in 2004. Potentials Realized founder, Jennifer has been involved in facilitating high impact and experiential education programs for teams, groups and organizations since 1988. She has also designed award winning training and mentoring programs. Jennifer has led programs in more than eighteen countries around the world with groups from the governmental, non-profit and corporate sectors. Most well-known for her trailblazing work in the area of group coaching, Jennifer also brings a solid track record in the area of performance improvement, and was one of Canada's first 20 Certified Performance Technologists accredited in 2003. Today, Jennifer integrates her passion for individual and team excellence, with her skills as a coach, trainer and facilitator, in the area of group coaching. Her teleseminar and group coaching programs have been taken by hundreds professionals and coaches from five of the six continents. Her Group Coaching Essentials program, a teleseminar program for coaches, and her two day Group and Team Coaching Intensive, is approved by the ICF for Continuing Coach Education hours. Jennifer has been described as a "coaches coach" and regularly facilitates Mentor Coaching Groups for coaches looking to sharpen their skills. Known for her results-oriented, engaging style, Jennifer works with clients who want to undertake exceptional work. She works with individuals, teams and groups. Jennifer holds a Bachelor of Science (B.Sc) in Psychology, and a Masters of Environmental Studies (MES) and has completed post-graduate HR studies. Jennifer is a Certified Human Resource Professional (CHRP) and a Certified Performance Technologist (CPT). She is also a Certified Professional Co-Active Coach (CPCC) with the Coaches Training Institute (CTI, 2005). She is recognized as a Professional Certified Coach (PCC) by the International Coach Federation an brings over 3000 hours of coaching experience with groups, individuals and teams. Jennifer has also completed advanced coach training in Organization and Relationship Systems (ORSC) and Shadow Coaching. Jennifer also holds the credential of Board Certified Coach (BCC) through the Center for Credentialing and Education. Jennifer has partnered with organizations including the Toronto CFA Society, The Cooperators, the Ontario Provincial Police, St. Joseph's Health Care Foundation, CCAC, UNICEF (WCA Regional Office) to deliver presentations, training sessions (leadership, mentoring skills and coaching skills) and coaching services (group coaching, team coaching and individual coaching). Jennifer has also designed award winning training programs. Her mentor training work with the Toronto CFA Society won an industry award in financial services for innovation in 2009. In 2016 she received a Prism Award for Excellence in Coaching from the International Coach Federation for her training in Coaching and Mentoring Skills with the Scarborough Hospital. In 2017 the same program was awarded an Award of Excellence - Curriculum Design from the Institute for Performance and Learning (i4pL). Jennifer is an active member of the Canadian Society for Training and Development, the Human Resources Professional Association (HRPA), the International Society for Performance Improvement (ISPI) and the International Coach Federation (ICF). Jennifer speaks internationally on issues related to group program facilitation, group coaching, teamwork, leadership development and succession planning, mentoring and business success. John Wiley and Sons released Jennifer's book Effective Group Coaching in January 2010 which has been met with rave reviews across the coaching industry.It has been described as the "Handbook for Group Coaching" and was the first book published on the topic globally. In 2013 she followed it up with From One to Many: Best Practices for Team and Group Coaching, which is now being used as a text by several coach training schools globally including those associated with UBC, and business schools in South Africa. 2017 marked the launch of Effective Virtual Conversations, focusing on creating more engaging and impactful virtual conversations. In summer 2018 she will be releasing an annual planner and workbook, entitled Coaching Business Builder: Putting the Pieces Together. These are all available at Amazon. 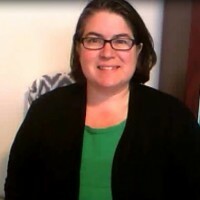 Jennifer is also the author of the Engaging Exercises for Teams and GroupsTM Manual and a co-author of Starting Your Own Business - A Guide for Women in York Region (2007). She is a former part-time Business Studies Faculty member, and has helped dozens of entrepreneurs and small business owners launch their businesses throughout the early 2000s. In recent years she has returned to her passion of supporting the development of generation of exceptional leaders, and has hosted the Teams365 blog, a daily blog since January 2014.